Here's one of the reasons Christopher's O'Connell St Bistro is the finest restaurant in New Zealand. The Bistro had come into possession of a Perigord truffle. Chef de cuisine Mark Southon knew I'd enjoy it so prepared this risotto, which Sommelier of the Year Benji Smith expertly paired with a Gillman Vineyard 2012, bottle 53 of 306. 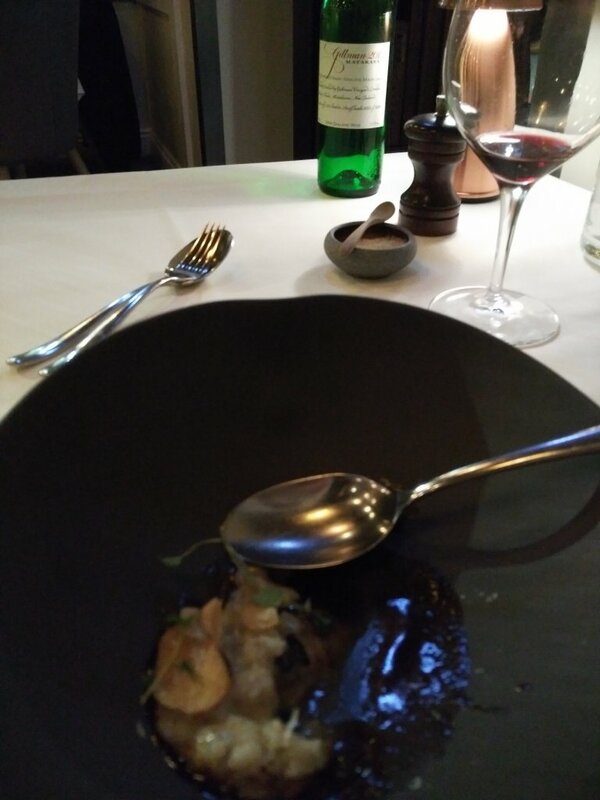 I didn't order this dish, it arrived unexpectedly between courses. I got to enjoy it purely because I know great artists in a fine establishment, to whom I am very grateful.